Some mums know exactly what they’re doing. Then there’s the rest of us. Everyone knows your first baby is a massive learning curve. You’d think by the third child, I’d have it all sussed. But I find the older my children get, the more “ummy” I become. Mums are supposed to have an answer for everything – but I don’t. Only joking – but just for the record, I would say yes if they ever did ask this. But all the rest – I just don’t have an instant opinion. But I can’t say all that to my child. So I say “Ummmm”. While I think about it. While I run the question through the Mummy Calibrator in my brain. How long is it till tea? How many Jaffa Cakes have I given them already? And how many have they actually had? Is this a fight I really want to pick? We’ve got the big Homework War coming up straight after tea. Is there enough for all three of them to have another Jaffa Cake? Does he really deserve one after refusing to bring his bag in from the car? He’s only 8 and growing approximately a centimetre a week – what’s the harm? If I say yes, they’ll start on asking for Cadbury’s Animals. I’ll have opened the floodgate to snackery insanity. Have I got any snacks for tomorrow after school and have I got time / strength to do an online shop tonight or go tomorrow with the three year-old? [If a playdate is there:] Will he tell his mum I let them have 4 Jaffa Cakes 10 minutes before tea? You can see why, when it comes to snacks, I often just go for a simple “Yes”. Or “no”, depending on what battles are left that day. Of course, saying “Um” is a sign of weakness. It shows you’re not sure. That you’re open to persuasion / manipulation. And my children are all over it. Sometimes by the time I’ve finished saying “Um” they’ve already devoured the Jaffa Cakes, taken all the covers off the beds for their den, and started watching Gummy Bear in Slovakian on YouTube. Leaving me to rue my failure to give a snappy yes or no. Jaffa Cakes are just the start, though. I know (and even like!) lots of mums who are pretty clear-cut. No, you can’t have any sugar. No, you can’t jump off that wall. No, you can’t have TV until you’ve done your homework and reading. No, you can’t have an ice cream when it’s zero degrees out. The capital of Slovakia is Bratislava and the biggest poo is the blue whale’s, although it’s mainly water. I try and be that mum every Monday. Other mums are much more permissive, but I’m not quite that either. I don’t let them have or do whatever they want, they have a (fairly flexible) routine and go to bed at an appropriate hour. But I do get bored of saying ‘No’ all the time. And quite often, I just don’t know the answer. I’ve never had an eight year-old before and new issues come up nearly every day that I have to navigate. 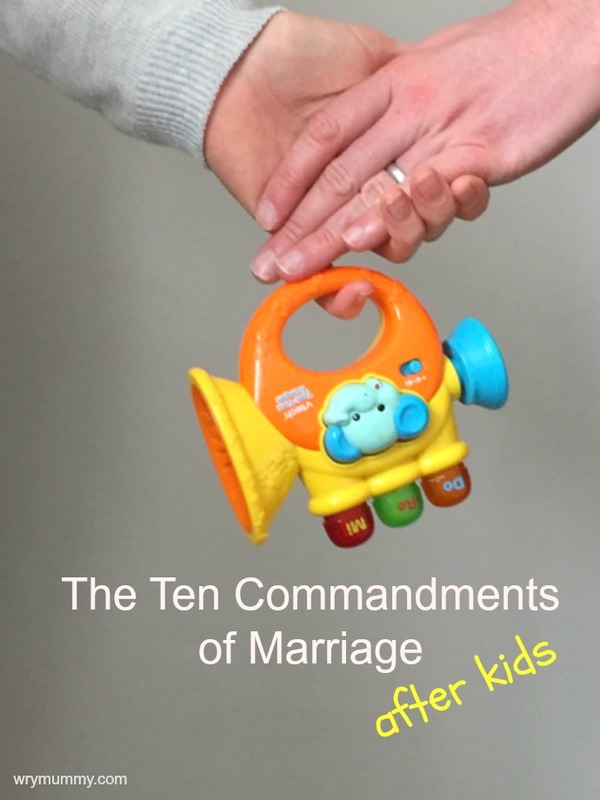 You’d think that at least I know how to manage my younger two (aged six and three), but all children are different. If I said yes to my eight-year-old about having an extra TV programme, he’d carry on watching until I turned it off at the mains in desperation. Whereas my six year-old would let me stop the show after the allotted time without any fuss. Um buys you time, but doesn’t necessarily provide you with answers that will set the world alight. There’s Google for that. Sibling adjudication is another key area for umminess. If one boy presents with a “he punched me,” claim, before roasting the accused, I have to ascertain whether it was provoked, who is actually most hurt, who should know better and so forth. A good “um” gets me through, along with a cuddle for the injured party/ies of course. And the same vice versa. I don’t care what month of the year it is, I’m happy for them to have an occasional ice cream if, in their insanity, they want one, but I like to throw in a nice long um to make them feel like I’m making a MASSIVE concession by letting them, thus winning some mummy brownie points. So, while the kids can use my “um” against me, I can do the same back at them. Poor deluded dears. 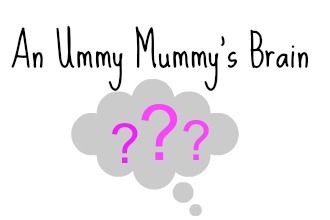 Are you a yummy, a slummy or just an ummy mummy like me? Oh Tim, I’ve had to pull out the “because I told you so” line recently and it just feels so lame, but on the hoof I can’t be bothered to think of a logical answer that will fit into the time!